CoinBase are adding users at a frenetic rate, and just emailed all their users breaking the news to them that in the event of a crash, there’s no way they’ll be able to cash out in time. Update: Coinbase’s blog is showing an expired SSL cert, Firefox refuses to go to it. “blog.coinbase.com uses an invalid security certificate. The certificate expired on 9 December 2017, 23:59. The current time is 10 December 2017, 00:25. Error code: SEC_ERROR_EXPIRED_CERTIFICATE” The post is archived here. Update 2: it’s working again. Still, they’re doing a bit better than Bittrex, who have been leaking customers’ KYC information, like passport scans, in emails to other customers. NiceHash claims they’re coming back from the hack, though the home miners are treating them like they’re already dead. 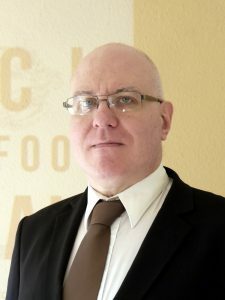 Here are local and Reddit interviews with founder Matjaz Skorjanc. They’ve also asked for help on Reddit /r/NiceHashHack analysing the hack and any movements of the bitcoins in question. 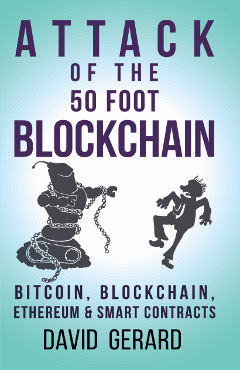 The Center for Evidence-Based Management’s interviews with blockchain people have just been published, including one with me about the book. Includes my six questions you can use on any BlockchainTM salesman! Interviews by Martin Walker, who also wrote a nice review of the book for the LSE blog. Preston Byrne on why Bitcoin isn’t a Ponzi scheme. It’s a “Nakamoto scheme” — no central controller, but it works very similarly. Phrase coined by @DontPanicBurns. The Lightning Network is imminent! Probably! They still don’t seem to have routing beyond what UUCP email had in the 1980s — where you had to work out the entire path from your computer to the other person’s computer, with the aid of network maps. It wasn’t really very reliable. (As far as I know, the general problem of routing from point A to point B in a gossip network is unsolved. I would love to be corrected if this isn’t the case.) Some LN proponents also seem to think they can keep a gossip network from naturally forming a more efficient hubs-and-spokes configuration by wanting it not to, which is as much wishful thinking as hoping mining wouldn’t recentralise. In this video, Adam Back is asked at the Baltic Honeybadger 2017 conference how merchants in Arnhem can use Bitcoin when fees and delays for on-chain transactions are through the roof. His answer — admitting that Lightning isn’t wallet-ready — is: keep a tab off chain or something, and reconcile to the blockchain later. “Maybe the shops in the local area could make a shared tab.” So it’s official: the best way to use Bitcoin as a merchant is not to use Bitcoin. I can get behind that. This is a $100% accurate video explanation of Bitcoin. It’s also short. You should watch it.